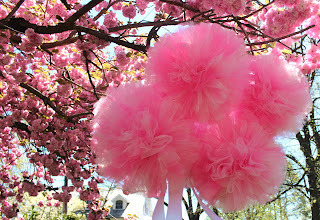 We had a birthday party at the weekend so I made some tulle pom poms as a gift. 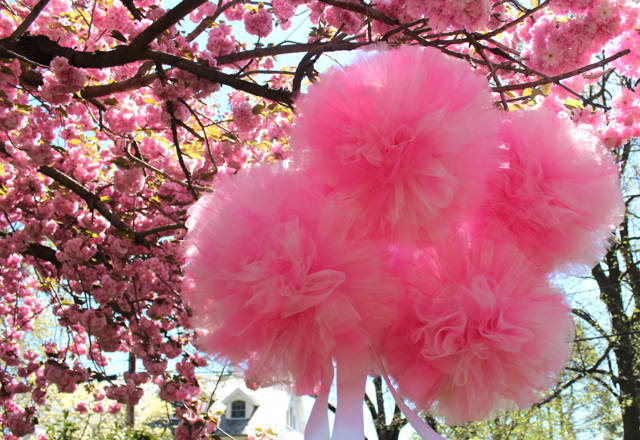 They also reminded me of our cherry blossom tree outside they were so pink and full. 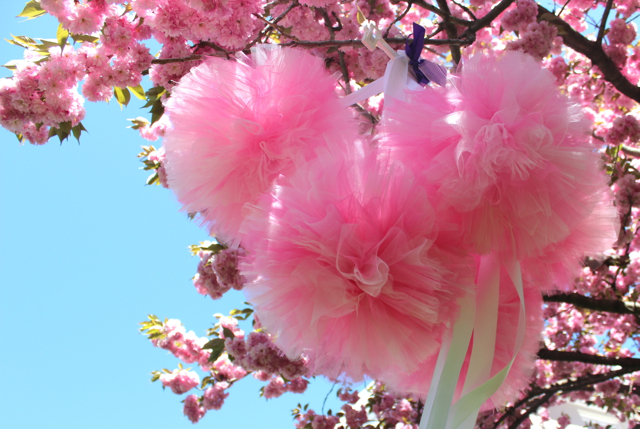 I used 3 different colors of pink in the pom poms. They are so quick and easy to make - you can find the tutorial here. I hope you had a fun and sunny weekend too. Very pretty!! 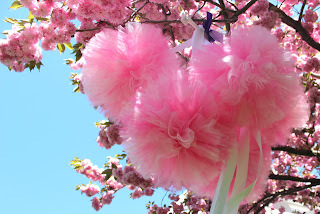 I just emailed you another tulle project for winter.